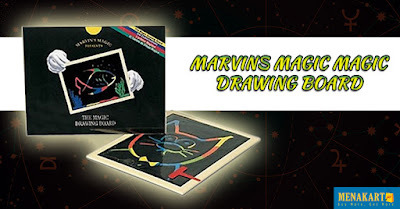 The Magic Drawing Board from Marvin's Magic encourages and stimulates creative talent in children age 4 and up. The board's vibrant colors create dazzling images without any paints, markers, crayons, or other messy materials. It erases cleanly and easily so it can be reused over and over.